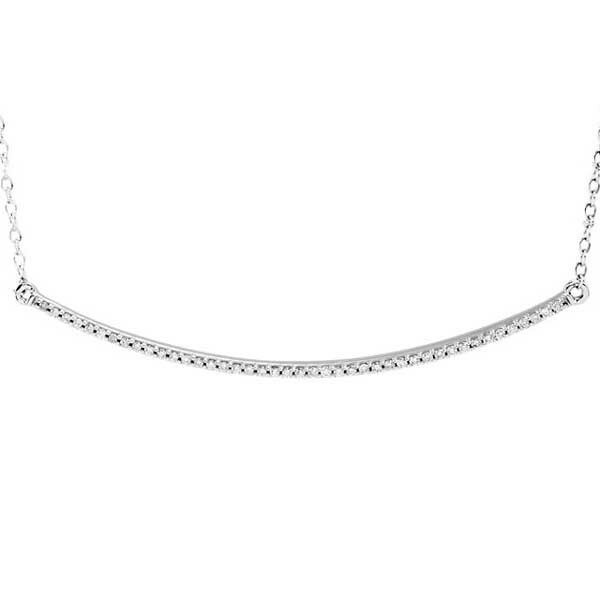 This curved bar necklace is, well, ahead of the curve! Crafted in 14kt white gold, it features an attractively arched horizontal rod that gleams and glistens with diamonds. The necklace adjusts from 16" to 18", essentially giving you two looks from one piece of jewelry. The ready-to-wear necklace is adaptable for a variety of events and occasions.